Cicatrizing conjunctivitis is one of the most challenging causes of ocular surface disease today, and without appropriate intervention, corneal blindness or loss of sight from supervening infection is common. Because many of these diseases are rare, there is often limited management experience available and the resources for research into treatment and pathogenesis can be scarce. This text summarizes present treatment strategies and the clinical and laboratory studies validating these approaches. Topics discussed include an in-depth look at non-progressive causes including trachoma, Stevens-Johnson syndrome and ligneous conjunctivitis. 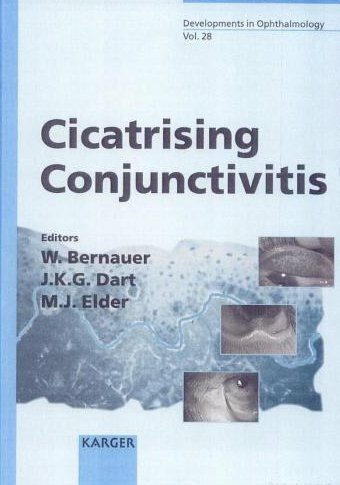 The text also examines chronic progressive conjunctival cicatrization, the diseases which cause it, their clinical and laboratory evaluation, immunopathogenesis, sequelae and management. It should aid the planning of intervention and treatment of a group of diseases previously associated with poor prognosis.